1930's Stained Glass Front Door with a classic sunburst Design . They are available in either "engineered hardwood "or "engineered oak". 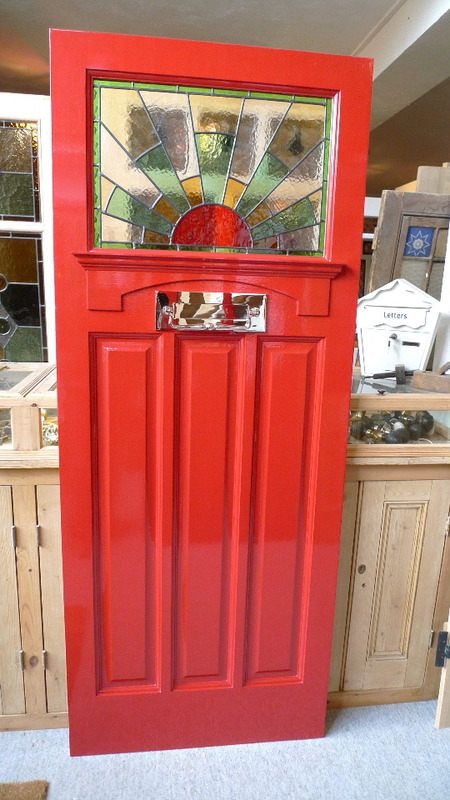 The door has been painted with Rectory red gloss and has a nickel plated letterplate with clapper.